June Brigman, Jackson Guice, and Dennis Janke Supergirl/Luthor Special #1 Splash Page 2 Original Art (DC, 1993). Supergirl and Lex Luthor lead Team Luthor into the streets of Metropolis to take the city back from the criminals who've come out in full force since Superman's demise. 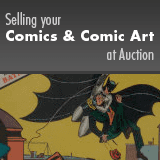 This iconic splash has an image area of 10" x 15", and the art is in Excellent condition. A copy of the comic is included with this lot. Signed in the lower left margin by June Brigman.